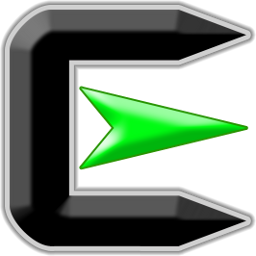 Cygwin is a large collection of GNU and Open Source tools which provide functionality similar to a Linux distribution on Windows. A DLL (cygwin1.dll) which provides substantial POSIX API functionality. a way to run native Linux apps on Windows. You must rebuild your application from source if you want it to run on Windows. a way to magically make native Windows apps aware of UNIX functionality like signals, ptys, etc. Again, you need to build your apps from source if you want to take advantage of Cygwin functionality. The Cygwin DLL currently works with all recent, commercially released x86 32 bit and 64 bit versions of Windows, starting with Windows XP SP3. The Cygwin tools are ports of the popular GNU development tools for Microsoft Windows. They run thanks to the Cygwin library which provides the POSIX system calls and environment these programs expect. With these tools installed, it is possible to write Windows console or GUI applications that make use of significant parts of the POSIX API. As a result, it is possible to easily port many Unix programs without the need for extensive changes to the source code. This includes configuring and building most of the available GNU software (including the packages included with the Cygwin development tools themselves) as well as lots of BSD tools and packages (including OpenSSH). Even if the development tools are of little to no use to you, you may have interest in the many standard POSIX utilities provided with the package. They can be used from one of the provided Unix shells like bash, tcsh or zsh, as well as from the standard Windows command shell if you have to for some sad reason.